Yesterday, I guest-taught labor law (specifically, social media and the NLRA) at Penn State Law. 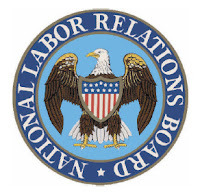 We covered the NLRB's review of employee handbooks and policies. What makes a policy overbroad, and therefore unlawful under the NLRA? I'd say it's a question I get all the time, but the truth is that it's a question I almost never get. Most employers don't even realize it's an issue. "NLRA? I don't have any union employees" - it's not that simple. Even non-union employees have the right under the NLRA to engage in protected concerted activity, not to mention union organizing activities. So, employee handbooks must not infringe on those rights. (ii) legitimate justifications associated with the rule.